Reduce heating and cooling costs of your home as well as increase it's value! We have done over 5000 insulation projects since 2010. Energy efficiency doesn’t begin at the outlet, it begins with weatherization. A poorly insulated home won’t hold in heat during the winter or cool air during the summer. 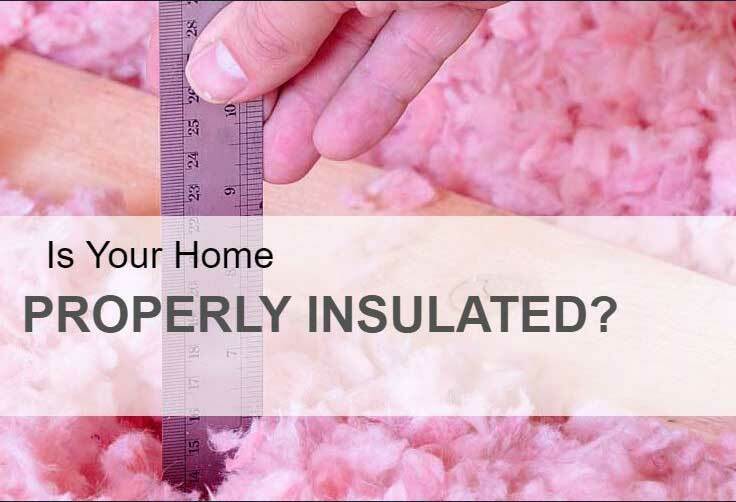 With more than 5,000 insulation services completed since 2010, we handle every aspect of your home’s insulative properties. Protect against flooding and moisture, we provide complete vapor barrier protection utilizing 6, 8, and 12 millimeter barriers. Sometimes removing insulation is necessary because of fire damage, water damage or because of a rodent infestation. 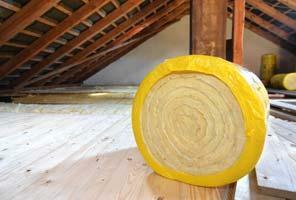 A properly insulated attic is one of the most cost effective ways to reduce the energy consumption of your home. Up to 35 percent of your homes heat loss is through the exterior walls. We specialize in retrofitting under or non-insulated walls. A properly well insulated floor can help reduce heating and cooling costs of your home as well as increase it's value. It is important to make sure your duct heating and cooling systems aren't leaking, which waste energy and costs you money and comfort. Windows are a fantastic way to save energy, update your homes look, increase your homes value and the comfort of your home. Over 80% of homes in Oregon built before 1995 are under INSULATED. Northwest Weatherization specializes in helping homeowners save money every month on their energy bills. 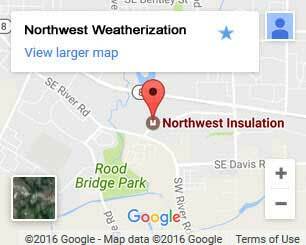 We do it through weatherization with outstanding customer service. We won Angie’s list Super Service Award in 2013 and in every year since. We will continue to do so because of our commitment to our customers. Weatherization is the most cost effective way to decrease your home energy consumption. This includes insulation, whole home air sealing, duct sealing and windows for existing homes. Incentive programs to pay for it are Energy Star, Energy Trust of Oregon, the State of Oregon and other utility programs. These include cash incentives, rebates and tax credits for weatherization upgrades to your home. Due to the complexity of these programs, we offer a Free Home Energy Audit to help understand your home weatherization needs and what energy efficiency incentives are available to you. Why Choose Us For Your Home or Building Weatherization? We care about our families and about our environment. We want to make sure that they’ll live in a world that is less energy dependent. One that cares about the environment. One that cares about saving money. One that is more comfortable. We want to extend that to You so that you have the best possible experience with us! 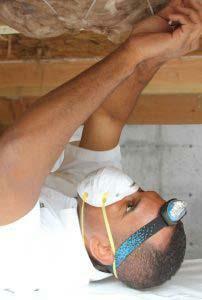 We serve the Greater Vancouver, Portland & Salem Metro area as a local weatherization contractor. We are also a trade ally contractor of the Energy Trust of Oregon. As a DBA (doing business as) of Northwest Weatherization, we’ve helped save the Vancouver, Portland & Salem Metro Area Millions of BTU’s in heat. For more information on the Energy trust of Oregon and our relationship to it visit energytrust.org. When one gets to be number one in any field, its easy to kick back and relax. We believe in continual improvement. This is not limited to the new services that we offer, but also in Insulation, our specialty. This means expecting the best, and working to get there. We started insulating homes because it is the best way to increase the comfort in a house, reduce energy bills and save money.